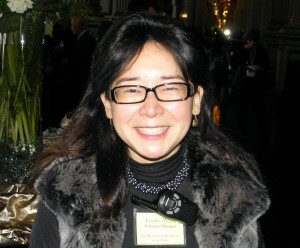 OAKLAND — The Board of Directors of the Oakland Asian Cultural Center has named Tamiko Wong as its executive director effective May 20. Wong has worked on projects for the Center for Asian American Media (CAAM), the Korematsu Institute, the National Association of Asian MBAs (NAAMBA), and many other non-profit organizations. As the program director of AsianWeek Foundation, she worked on the Asian Heritage Street Celebration and the San Francisco Hep B Free initiative. She participated in the Leadership Education for Asian Professionals (LEAP) Executive Directors Leadership Program (EDLP) and has also recently completed the Asian Pacific American Women’s Leadership Institute (APAWLI) fellowship program. Wong has served on a number of boards for non-profit organizations, including the Japanese Cultural and Community Center of Northern California, Asian Business League, OCA-San Francisco, and Cherry Blossom Alumnae. She has also been actively involved with API Circle, an alliance of Asian and Pacific Islander American leaders and organizations that seeks to bring together community on an intergenerational, multidisciplinary, and multicultural basis. “I hope OACC can become a beacon for Asian and Pacific Islander American artists, performers, and community members,” Wong says. “I see it as a place we can come together, build community, and grow personally, professionally, and artistically. I’m looking forward to partnering with emerging and established creators, leaders, organizations, and more to realize the mission of OACC. Wong is a Chinese and Japanese American who was born and raised in San Francisco. As a child, she attended Nihonmachi Little Friends Preschool in Japantown and the Japanese Bilingual Bicultural Program. She earned her B.A. from UC Berkeley, majoring in American studies with a focus on law, politics, and public policy, and minoring in Asian American studies and education. When she is not networking, organizing, or attending community functions, Wong loves singing, collecting Pez candy dispensers, traveling, enjoying delicious food with friends, and sipping tea alone and with company. She is transitioning into her leadership position with the support of Interim Executive Director Roy Chan, who will remain with OACC as project director for the Oakland Chinatown Oral History Project. OACC is grateful for Chan’s leadership and unwavering commitment to its mission and values. For more information on the center, visit www.oacc.cc/.